Packaging Dimensions 4.5 in. x 1.61 in. x 1.585 in. Asked by Anonymous on March 24th, 2018. All JJ branded tubes are made in the Slovak Republic. Asked by Anonymous on June 22nd, 2018. We offer matching for power tubes for a small additional fee and if we offer them matched , it will require you to select from a drop down window of options (single, matched pair, matched quad etc.) 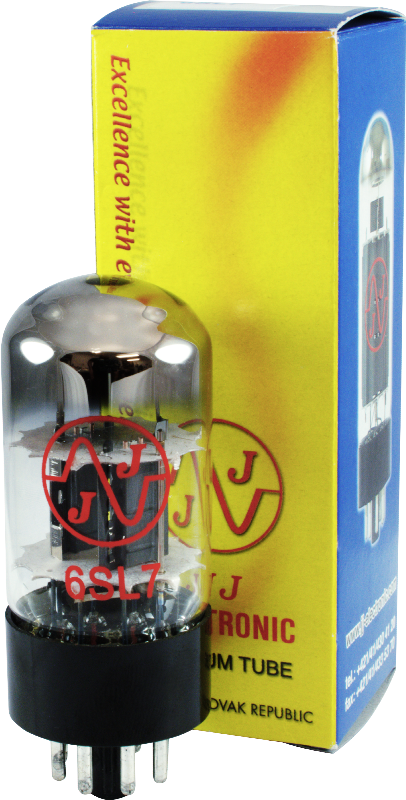 In this case, the 6SL7 is a preamp tube and we are not able to match dual-triode tubes.